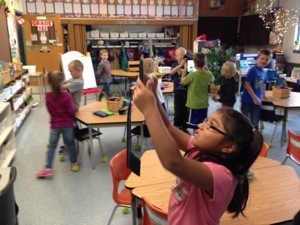 Today we had a chance to use the iPads for the first time. We learned how to turn them on and off, open and close the camera app, and take pictures. Everyone had a turn taking pictures with the iPads. Tomorrow we are going to look at the pictures we took.